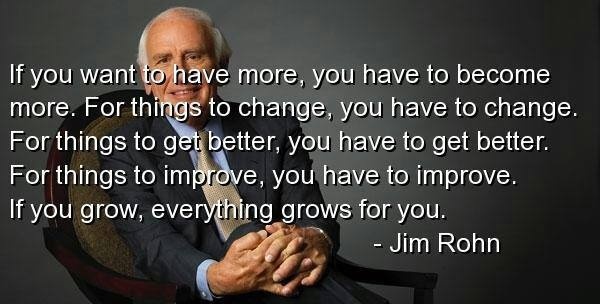 For things to change you have to change – Jim Rohn. “Success is something you attract by the person you become” Jim Rohn when he spoke about the importance of personal development. It is no secret that one of the main interests of human beings is to succeed. However, not everyone is willing to do the first thing we need to do to get the desired result: to become the person who has the skills, abilities and wisdom to achieve that dream we have in our mind.